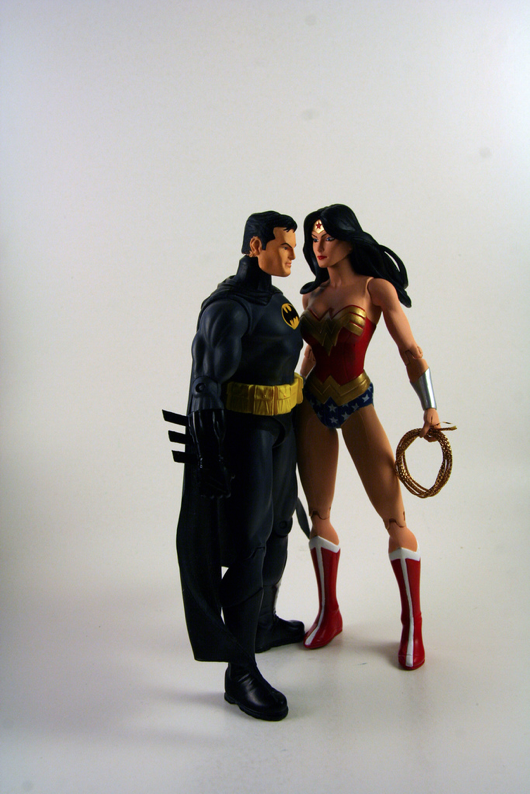 Who knew action figures could be so romantic? Arnold Ho posed BatWondy perfectly on his Flickr page. It’s intimate, yet somehow heroic. And don’t they look happy together? Well, as happy as Batman can be. I hadn’t had time to stop by and comment, so real quick: No. See also: A thousand times no. I like it with the Gotham (I assume) skyline dropped in. Another great photo! And I love those action figures. Despite only seeing her in JLA/JSA cross-overs and the handful of Wonder Woman issues I purchased, Huntress was one of my favorite characters as a kid in the 80’s. If Huntress had been the headliner and Wonder Woman the backup I would have purchased every issue. So I’m afraid Catwoman is my favorite Batman pairing. 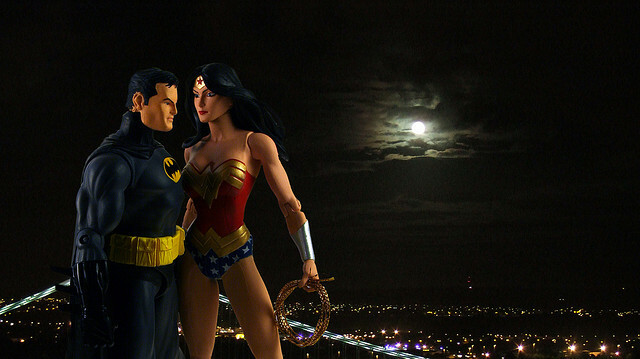 That said, a Batman/Wonder Woman matchup certainly could be fun! Hepburn, consider this our Christmas gift to you and BatWondy fans everywhere! And by the way, I am loving the comments from everyone!